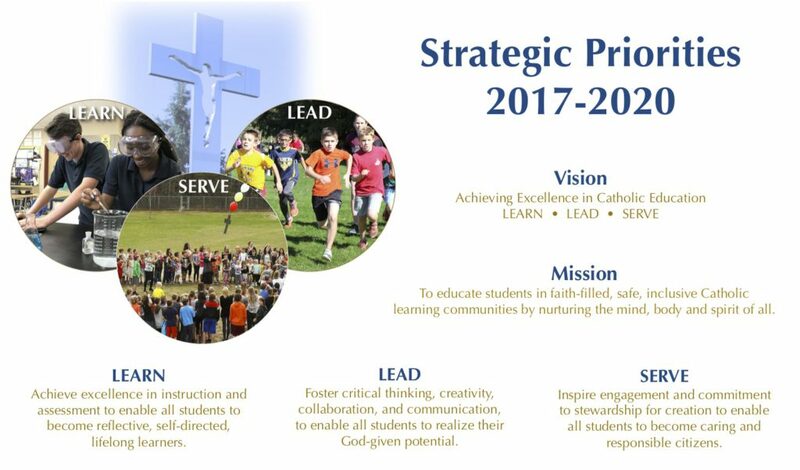 It is with great excitement and a deep sense of gratitude that I present to you the Peterborough Victoria Northumberland and Clarington (PVNC) Catholic District School Board Vision, Mission, and Strategic plan for 2017-2020.This has been a culmination of months of consultation. The consultation has been intense, open, honest and full of the vision and enthusiasm that are hallmarks of who we are in PVNC. We have spoken as many voices but with clear emerging messages – a deep consensus that can only signal to us that the Holy Spirit is working in our midst. 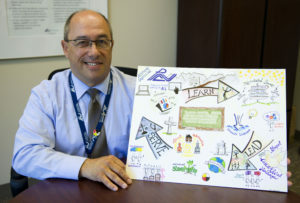 So, more than a thousand survey responses and personal comments later, 65 focus groups, four town hall gatherings, a collection of the words and ideas of principals and vice principals, trustees and superintendents, students and teachers, parents and support staff with many different talents, I am confident we have landed on a roadmap that will serve us well moving forward. These strategic priorities and actions will guide the formation of our annual Board and school improvement plans, our budgeting and the commitment of our resources, our decisions, policies and procedures, and the focus of our professional development. I hope you can hear your own voices in these words – they are your words and I believe they truly reflect where we are and where we need to go. Mostly, I hope you can see yourself in these new directions – your place, your role in our shared mission to educate students in faith-filled, safe, inclusive Catholic learning communities by nurturing the mind, body and spirit of all. 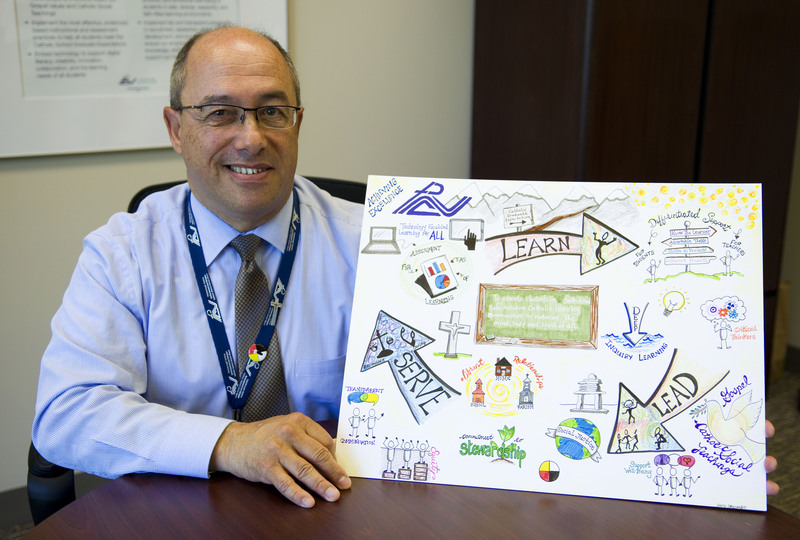 If each of us embraces the call to Learn, to Lead and to Serve, I have every confidence we will realize our vision of Achieving Excellence in Catholic Education here in PVNC.